TUSCON, Ariz. (CN) – Scientists fret that if President Donald Trump is able to enact his vision for a large wall along the U.S.-Mexico border, the impact on local wildlife will be catastrophic. Researchers at the University of Arizona say the installation of a 2,000-mile border wall will cause habitat fragmentation for scores of species endemic to the borderlands and could cause irreparable harm. “Local populations blink on and off like Christmas lights,” the University of Arizona’s Aaron Flesch said. But Flesch and others expressed concern that the Northern Sonora Desert’s roster of species, which includes the endangered jaguar, bighorn sheep and the gazelle-like Sonoran pronghorn, won’t blink back on if Trump’s planned border wall is built. Currently, these species and others roam back and forth across the border, which is an artificial jurisdiction placed upon a geographical area and species that don’t adhere to such boundaries, according to a recent study published in Bioscience. The situation may be dire enough for endangered species like the jaguar, which depend on members of the species wandering from one grouping to another to diversify the genetic stock. “If the wall is completed, it will create a considerable biodiversity conservation challenge – one unlikely to disappear anytime soon,” said study author Lesley Evans Ogden. Trump has proposed constructing a large wall along the entirety of the 2,000-mile border the two countries share, but the proposal has run into impediments during the budget process. While scientists such as Flesch and Ogden are concerned about impacts to wildlife, proposed border wall is struggling because fiscal hawks on the GOP side of the aisle have expressed concerns about the cost of the wall, estimated to run anywhere from $21 to $76 billion. It’s not simply the structure that has scientists worried, as frequent patrols, maintenance trips and other activity associated with Trump’s plan could impede the free range of a myriad of species. “Even when there isn’t a physical wall or much of a barrier, [border agents] are actively engaged in enforcing the law through patrols,” said David Christianson of University of Arizona. Such patrols often traverse through the heart of endangered species habitat, Christianson said. Meanwhile, other research done by the Zoological Society of London indicates that while the wall will adversely affect animals, it will fail to stop border crossings by the one species it’s designed to keep out: humans. Jamie McCallum, a consultant at Transfrontier International Limited, placed cameras on large steel barriers already in place at certain spots along the border in order to capture the movement of animals. While the wall unsurprisingly resulted in fewer sightings of pumas and other mammals, the early statistics show it was ineffective in terms of statistical reductions of the number of humans engaged in illegal activity along the wall. 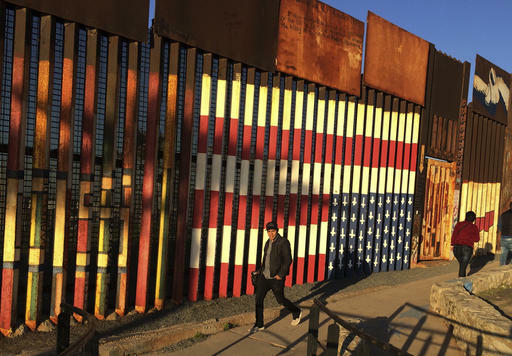 More work and analysis is required, the researchers say, but the early studies show a wall could harm and even doom the local ecology while doing little to reduce the flow of people over the border.